The international seminar series on ‘Mendicant Orders and Literature in Italy (13th-14th centuries)’, held at the University of Leeds in 2012, aimed to provide a general and systematic overview of the origins of Italian literature from the point of view of its relation to the Mendicant Orders, primarily the Franciscan and the Dominican Orders. The intertwined relationship between literature and the Mendicant Orders involved not only content-related issues, but also questions of style and form, affecting both the production and reception of texts. In fact, the new orders of mendicant friars immediately engaged with problems regarding textuality, education and communication, and were protagonists in both Latin and vernacular literary production. A great part of the series dealt with the figure of Dante Alighieri, not only because of the importance of Dante in Italian and European literatures, but also because he always provides an excellent standpoint from which to look at the Middle Ages. The series has been organized by Dr Anna Pegoretti in partnership with the Leeds Centre for Dante Studies, and financed by the British Academy through the Newton International Fellowship Scheme. This site draws together material relating to the seminar series, and is intended to provide a resource for scholars and students wishing to engage with this fundamental and vibrant topic in Italian literary history. This handbook, prepared by Dr Anna Pegoretti, introducing the mendicant orders and providing extracts of key texts, is available here. In this seminar, we heard a paper by Giuseppe Mazzotta (Yale University), entitled "The Book of Questions: Prayer and Poetry", and by Matteo Leonardi (independent scholar), on "The genre of 'lauda'". To view a video recording of the seminar, please click here (you may need to open some new software in your browser to access this video). 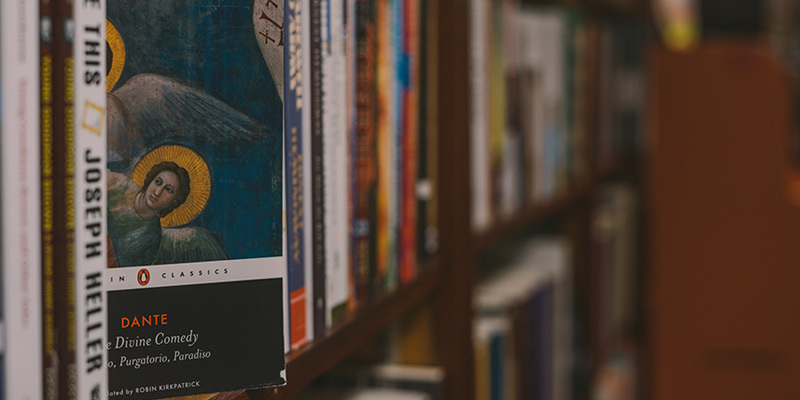 In this seminar, Davide Bolognesi (Columbia University) spoke on "Ubertino da Casale in Dante's Comedy", and Nick Havely (University of York) discussed "Dante at Cambridge? A Fourteenth-century Franciscan Reader of the Commedia". The handout from Nick Havely's paper is available here. An audio recording of the two papers is available here (mp3 file). In this seminar, Nicolò Maldina (University of Leeds) discussed "Preaching and Dante"; Lina Bolzoni (Pisa, Scuola Normale Superiore) discussed "The Divine Comedyand the Art of Memory". To download a PDF of Nicolò Maldina's paper, please click here. A complete version of Prof. Bolzoni's paper is in Lina Bolzoni, "Dante o della memoria appassionata", Lettere Italiane, LX (2008): 169-93. In this seminar, Anna Pegoretti (Newton International Fellow at Leeds), presented a paper on "The Dominicans Read Dante: MS Egerton 943"; Rene Hernandez Vera (Leeds) discussed "The Franciscan Book: A Practical Tool or Something Else?" The slides from Anna Pegoretti's presentation are here; the slides from Rene Hernandez Vera's presentation are here. An audio recording of the two papers is available here (mp3 file).